Provide an insider's perspective of the interviewing processes. 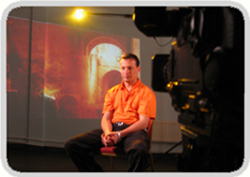 Record the reflections of the interviewees after their interview. Allow the interviewers to document and reflect on their own lived experiences (personal and emotional) in interviewing members from the Moroccan community. Share knowledge and skills between the interviewers. Develop a learning tool for other community oral history projects.